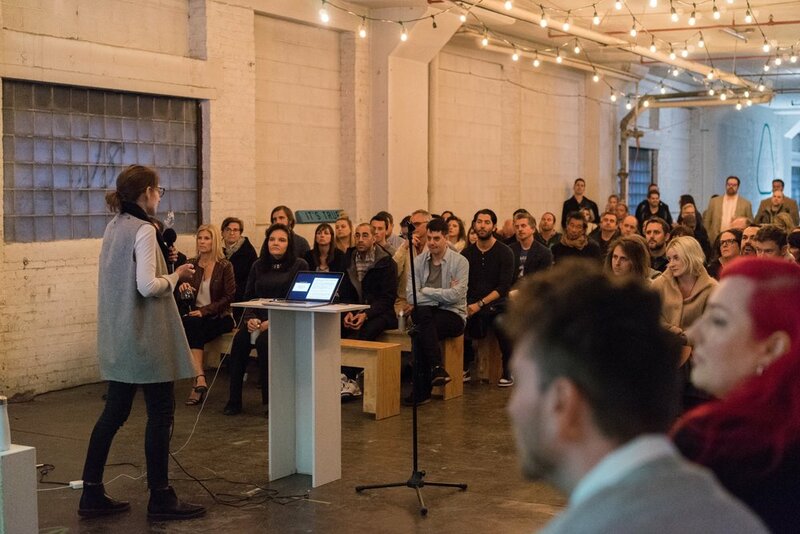 On Friday, April 13, Starkweather, along with four other Chicago startups, presented to a room of 100+ individuals in an old warehouse building on Goose Island. The event was the culmination of three months of incubation through the first Lost Labs program. Run by Charles Adler, co-founder of Kickstarter and founder of Lost Arts, Lost Labs is an opportunity to "[apply] ambition, to explore the potential of curiosity," for "anyone with a tenacious creative spirit." As part of the first cohort, there was a loose framework for us to structure our goals and a timeline to achieve it. I found myself motivated to challenge myself and reach higher than I had initially outlined. The result for Starkweather was a full-on new business plan and pitch that has been updated to reflect all the lessons learned, all the new resources that are available, and the forecast of where the industry and consumer behavior is going in the future. The capstone event gave me a platform to share those organized thoughts to a group of intelligent, curious professionals who then had an opportunity to come speak with the founder (myself), see the products, try them on, and share their feedback. I walked away inspired with new ideas, and excited to get the product into waiting customers' hands. That excitement will serve me well, as motivation and foundation to overcome the challenges to come. Truth: the hard work begins now. Writing this on a 30º day in mid-April, I know even as I wait for the warm weather to come, that getting cold-weather product to market for fall 2018 will keep me occupied until the weather turns cold again. Over the next several months, I will be getting the word out, taking lots of meetings and copious notes, and building out the resources to make the Fall's launch a catalyst for Starkweather's future success. Thank you to Charles and Elizabeth @LostArts, and to the rest of the cohort founders. Founded by Louis Vowell, CoLab is an online collaboration platform that connects artists and alumni from different art universities across the country. CoLab was created to alleviate post-graduation isolation, with the aim of facilitating cross-campus communication and producing collaborative artworks. Fertile Design is a biodegradable plastic, partially made of food waste, that is chemically balanced to feed the soil when it is discarded in the ground. This product, which can replace traditional plastics, is the creation of Jessica Gorse. For the artistically inspired, Fossick is a homewares and accessories company with an ethical and sustainable twist. Cate Breasley started the company to a range of uniquely designed, one-off pieces in vibrant colors and patterns that celebrate individuality, creativity, and hidden potential. Roman Titus founded Sojourn Fare to make the mushrooms (and their medicinal and culinary potential) more prevalent in the world. The company builds farm-tech software that empowers growers to control, monitor and optimize mushroom cultivation. Starkweather creates outerwear for urban environments, combining low and high-tech solutions to design products that marry technology, function and aesthetics. Lee Anderson created Starkweather to provide an alternative for people who wish to wear something other than the ubiquitous black puffy jacket all winter, while maintaining warmth and functionality.